Thanks to family member Heather I have been alerted to an extraordinary set of oral recordings with Win Tyzack. These make for exceptionally interesting listening. 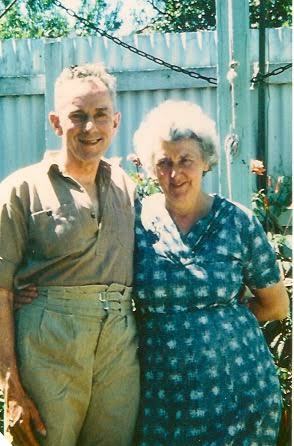 Winifred Elsie Mabel Gladman’s (Win) (9/5/1909-3/10/2001) first husband (Bladier) died in 1937. On the 6/12/1941 she married Arthur Tyzack (son of Leonard Victor Tyzack 1892-1933). During Win’s first marriage, children Donald Keith (Don) (1930) and May (1929-2015) were born. During her second marriage, Leonard Arthur (Len)(1945) and Ruth Winifred (Ruth)(1947) were born. The photo below shows Win with Arthur. The National Library of Australia holds a collection of two interviews with Win by Wendy Lowenstein. The interviews can be downloaded for listening. The first interview lasts about 32 minutes and covers how Win coped with surviving Australia’s Depression in 1930s Melbourne. The second interview lasts about 15 minutes and starts with Win talking about her brothers as teenagers. Throughout the interviews we hear how she housed, fed and clothed herself, husband and children. There were no holidays for years, and despite living in an inner Melbourne suburb they couldn’t afford to travel into the city or to the beach. Win sounds so positive as she remembers those lean years – they didn’t get into debt because the four of them lived in one room with her in-laws who rented a two bedroom house, grew their own vegetables, luckily they stayed healthy, occasionally family members gave some hand-me-down clothes, and they never did anything if they had no money. For recreation they walked around the suburbs hoping to find wild blackberries – normally dessert was never on the menu. Listening to the radio was infrequent because they couldn’t afford to replace the batteries. By giving lots of specific details, Win personalised a picture of the Depression so that I felt the deprivations more keenly than ever before. She provides lessons in how to live within your means; how to survive. Stories from my own part of the family – the Harold Gordon Tyzack strain – lead me to believe he and Grandma (Louisa Caroline – nee Crayford) seriously struggled through the financially depressed years. Perhaps other family members know more about this. I can recall my father, Leigh Crayford Tyzack (1924-1992), saying he was sent to live with his grandmother in Maldon because the family was too poor to look after him – I do not know in which year this occurred. I wonder if there is more to it than that. 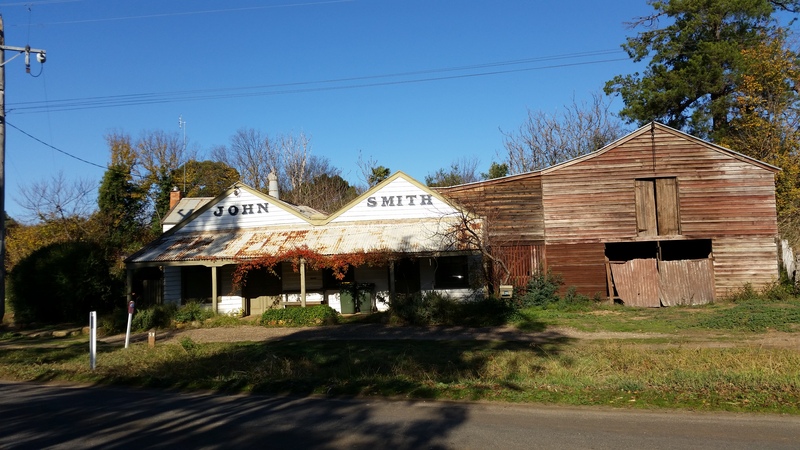 In 1926 Gordon and Louisa moved to Yapeen near Castlemaine after they bought the Yapeen General Store. Establishing themselves as storekeepers would have required an intensive effort, and a two year old child would have needed considerable attention. Perhaps the real story sits around a combination of the age of my father and their being cash strapped in a fledgling business at the time of the great Depression. I wonder what are the stories of other family members surviving the Depression?